Recognized as a leader in the development of detection systems, Vector Laboratories has been providing the research community with quality reagents yielding high sensitivity and low background since 1976. Continuing in this tradition, our molecular biology tools offer sensitivity, reliability, simplicity, and economy. These systems and reagents facilitate the labeling, detection, and manipulation of nucleic acids. Microarrays, blotting assays, cell trafficking, in situ hybridization, comparative genomic hybridization, subtractive hybridization, and affinity purification are just a few applications in which our molecular biology tools can be successfully employed. The PHOTOPROBE® reagents, FastTag® Systems, and the 3’ and 5’ EndTag™ Labeling Systems are efficient and reliable labeling methods that offer choices for optimum labeling for a given application, as well as choices for incorporating fluorochromes, haptens, or affinity tags. Nucleic acid probes for applications such as in situ hybridization, northern and Southern blot hybridization, comparative genomic hybridization, intracellular localization experiments, and DNA microarrays can be easily and optimally labeled and subsequently visualized with our comprehensive range of fluorescent, chemiluminescent, or chromogenic detection systems. For nucleic acid blotting applications, the Vector® UltraSNAP™ Detection System (page 14) containing specially formulated reagents detects biotinylated probes with high sensitivity and low background. This system utilizes the DuoLuX™ Chemiluminescent/ Fluorescent Substrate with intense and prolonged light emission characteristics, ideal for Southern and northern hybridization, dot blot, plaque or colony screening. FastTag® Fluorescein labeled pUC1.77 (yellow-green) detected with Biotinylated Anti-Fluorescein and Fluorescein Avidin DCS. 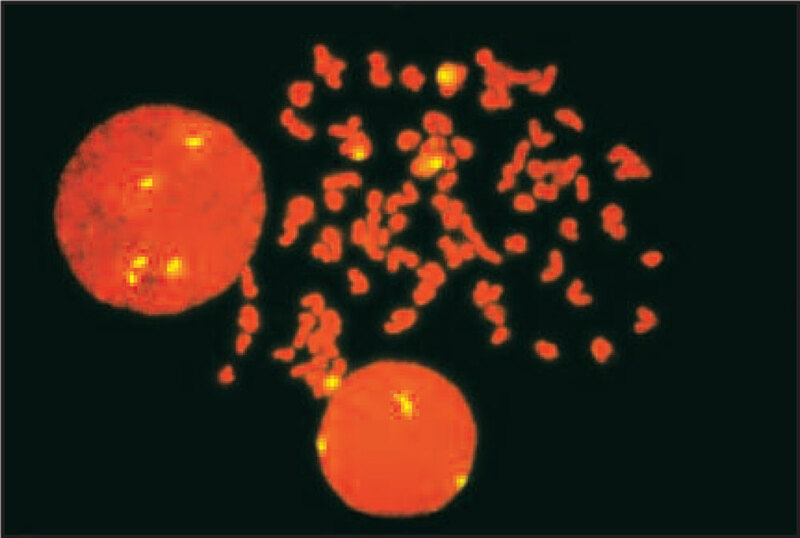 Nuclei were counterstained and mounted with VECTASHIELD® with PI (red-orange). 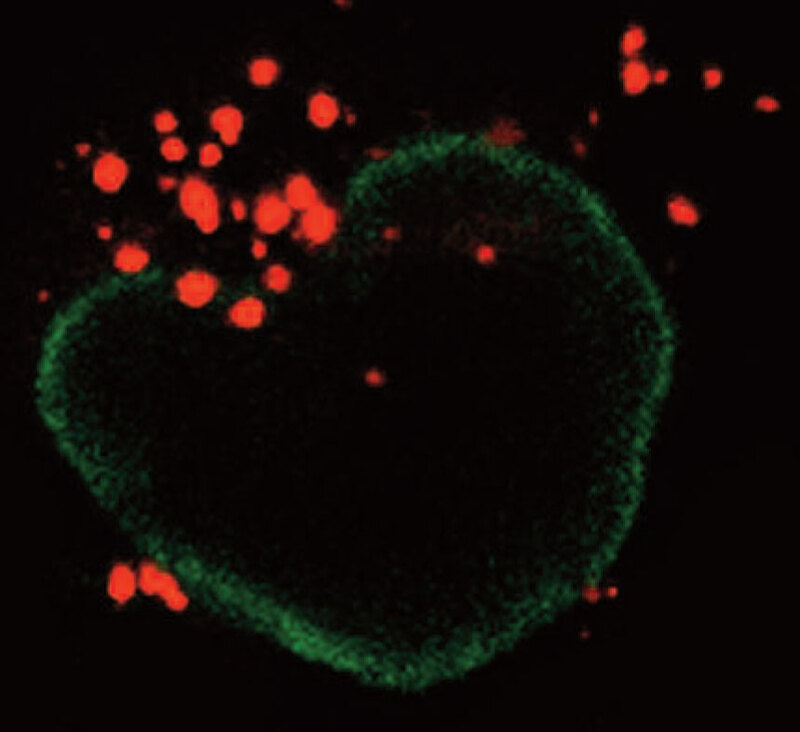 Cellular uptake of labeled plasmid: FastTag® Fluorescein labeled plasmid DNA (green) incubated with COS-7 cells. 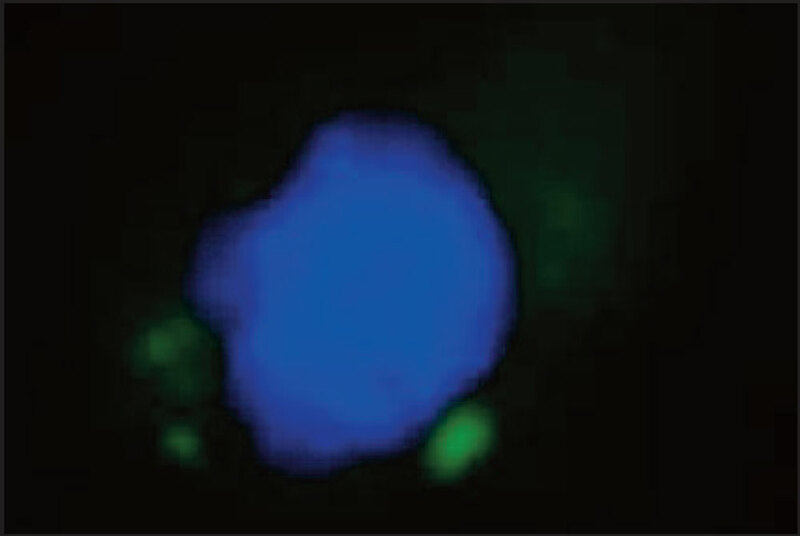 Nuclei were counterstained and mounted with VECTASHIELD® with DAPI (blue). Vector Laboratories offers both irreversible (VECTREX® Avidin D) as well as reversible (VECTREX® Avidin DLA or VECTREX® AAL) affinity binding matrices. Applications like genomic/ cDNA subtraction or library screening by hybrid capture require labeled nucleic acids to be immobilized onto a solid support. Using our affinity binding matrices in such applications can yield information about differential gene expression or allow the isolation and subsequent amplification of a gene of interest. (Please see page 17 for further information). The Resolve-It™ Kit (page 18) contains two sequence-specific DNA ligands which bind to DNA and retard its electrophoretic migration in a sequence specific manner. The separation of the DNA species allows for the gel purification of DNA samples which would otherwise be very difficult to isolate. The ability to resolve DNA in a gel is critical for applications such as differential display in which multiple DNA species of similar size need to be separated before subsequent excision and analysis. The Quant*Tag™ Biotin Kit (page 19) is designed to determine the amount of free biotin in solution or the number of biotins attached to proteins, nucleic acids or other macromolecules. Samples do not need to be predigested. The kit reagents chemically react with free or bound biotin, producing a colored product that can be quantified using a spectrophotometer. The absorbance is measured in the visible spectrum, allowing the use of plastic cuvettes or microtitre plates. Detection in an airway epithelial cell of a plasmid biotinylated with the FastTag® Biotin Labeling System and then labeled with rhodamine-conjugated streptavidin (red). 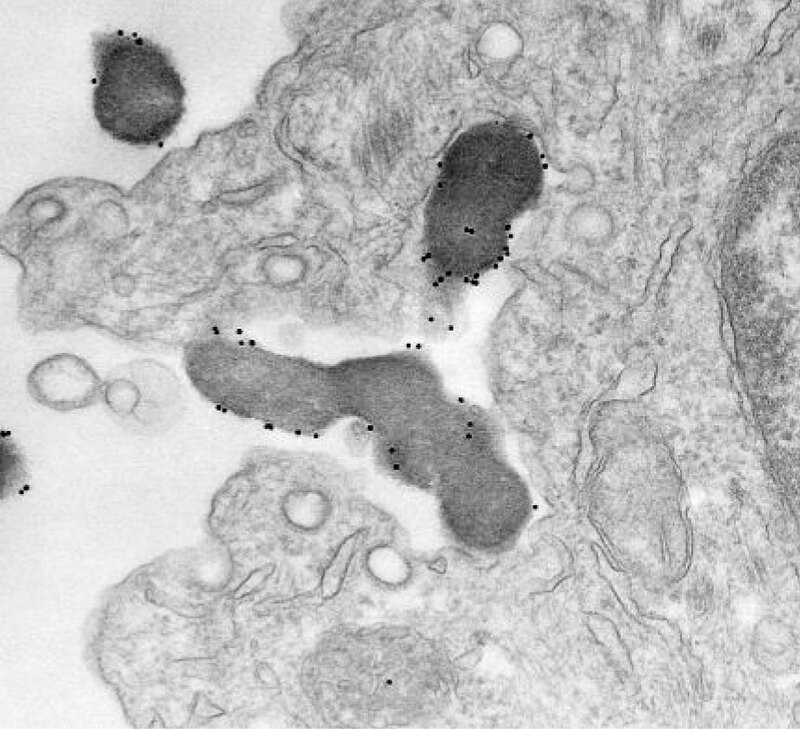 The nuclear membrane is labeled with an anti-lamin A/C antibody and appears green. Image kindly supplied by Drs. S. Grosse and I. Fajac, Faculté de Médecine Paris 5, Paris. Detection by electron microscopy of a plasmid biotinylated with the FastTag® Biotin Labeling System and then gold-labeled. The plasmid, complexed with lactosylated PEI, is taken up by an airway epithelial cell. Image kindly supplied by Drs. S. Grosse and I. Fajac, Faculté de Médecine Paris 5, Paris.